If you are looking for a juicer machine that is great for really soft fruits, a press juicer might be the best juicer for you. A manual press is a type of juicer that uses pressure to produce juice by squeezing the produce to extract the juice in a two-step process: first shredding the produce and then pressing the liquid out of it. 1. Manual Leverage Press –One of our favorite models, the Hamilton Beach Citrus juicer, uses rack-and-pinion gearing to leverage up to 2,000 pounds of pressure easily. It can juice maximum amounts of liquid from oranges, grapefruits, lemons, and limes. Click here to read a complete review of the Hamilton Beach Citrus juicer. 2. Hydraulic Press Juicer–One of the most popular hydraulic press juicers is the Norwalk Juicer. It is an electric power juicer that has both the grating and the pressing functions into one juicing machine. The produce is grated and shredded by the revolving cutter into a linen tray and then placed into the electric-powered hydraulic press. 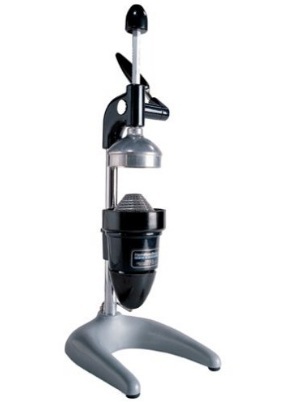 Click here to read a complete review of the Norwalk juicers. 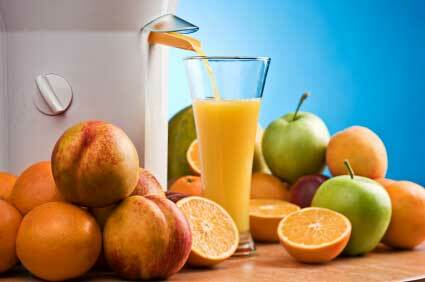 Using a juice press causes the least oxidation of any type of juicer and produces a completely pulp-free juice. However, many people find these machines more work to use and clean than many other options available. Should You Pick a Juicer Press? For the casual juicer, centrifugal ejection juicers may be a better fit with easy and quick juice making for an affordable price. For people who want the highest quality juicer, masticating juice extractor may be a better choice for your juicing needs, but slightly more expensive. If you are primarily juicing soft fruits and want to really invest your time and money into a juicing lifestyle, both the Hamilton Beach Citrus juicer and the Norwalk juicers are the our two top choices for this style of juicer.